According to some of our commercial apple growers we are going to have a bumper crop of apples this year. A mild spring and warm summer, accompanied by the perfect amount of rainfall, has resulted in a vintage year for our English apples. Sadly, in my part of Wiltshire that’s not true. We have three apple trees and almost no apples – everyone we know in our valley is in the same boat; it’s so bad that our annual Cider Making Day has had to be cancelled. As you can imagine we’re a little bit upset about that. But, to make up for our loss, I’ve made an exciting discovery – the red fleshed apple. 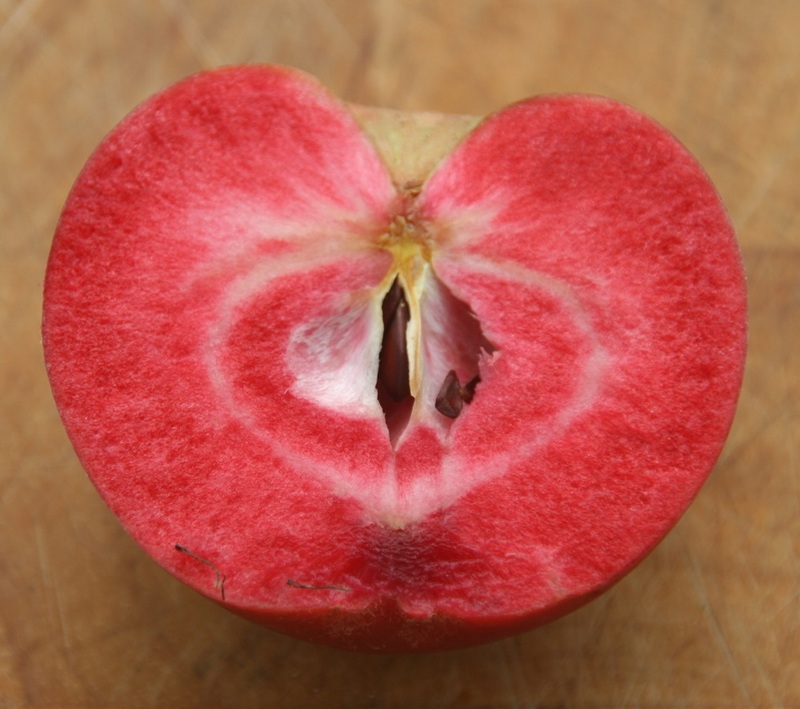 Yes, that’s what I said, red – an apple with a shocking pink/red flesh. 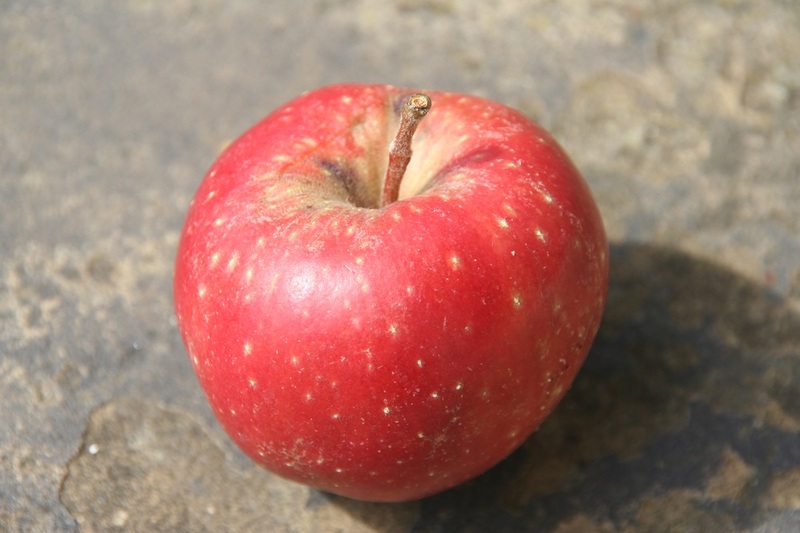 The father of a good friend of mine was a passionate apple man and spent much of his forty years of retirement breeding and developing by grafts and cross-breeding a red-fleshed apple. As a World War II POW, he also spent time looking for ways of controlling the fairly serious side effects from his interment. 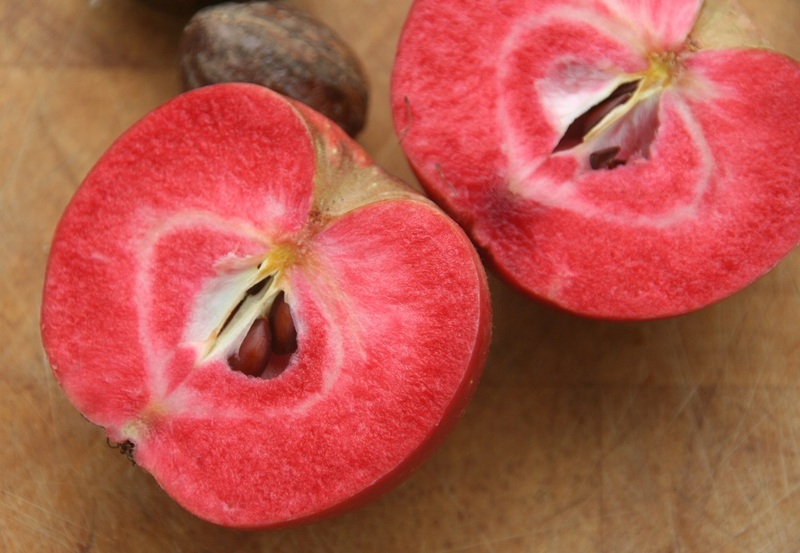 The result of both of these endeavours was the small Trinity apple; red skinned and red fleshed, high in anti-oxidents and Vitamin C.
I’ve been hearing about these apples for years, but just a few weeks ago some arrived in the post. Could I make some jam? We’d just like to see how it turns out. Well – who’d pass up that opportunity? Now, making apple jam/conserve/butter/jelly can be a bit tricky. Apples have a very delicate flavour and too much sugar or being too liberal with the spice can turn it into a tasteless or over-spiced sugary mess. On the other hand, not enough sugar and you’ve just got an apple sauce that won’t keep for long. 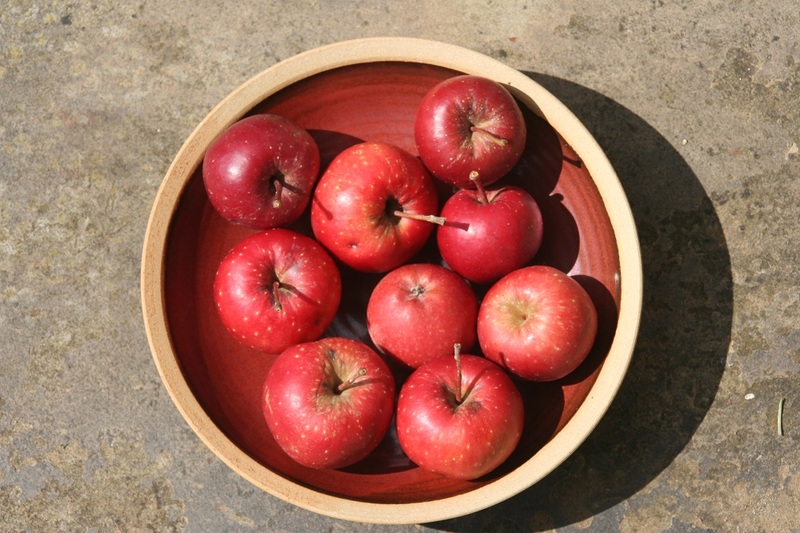 These particular apples are great cookers, they cook down to a silky pulp and the pretty red colour enriches on cooking. I decided to make what would strictly be called an Apple Cheese – it’s called a cheese because it’s pushed through a sieve. But I haven’t let it thicken enough to be classed as a cheese. I’ll call it a jam because of its jammy consistency, but its relatively low sugar content would have our EU food police heading for the rulebook. But, to hell with the EU, this is homemade, just for my pantry and my friends and family. Of course, I’m not expecting you to be able to get hold of these red fleshed apples yet… but I hear it won’t be long until you’ll start finding them in the shops. Meanwhile, the recipe below will do for any cooking apples, especially Bramleys. Put a small, clean plate into the freezer before you start. Roughly chop the apples – pips, skin and all, and put in a large pan along with the chopped up lemon, ground cinnamon and water. 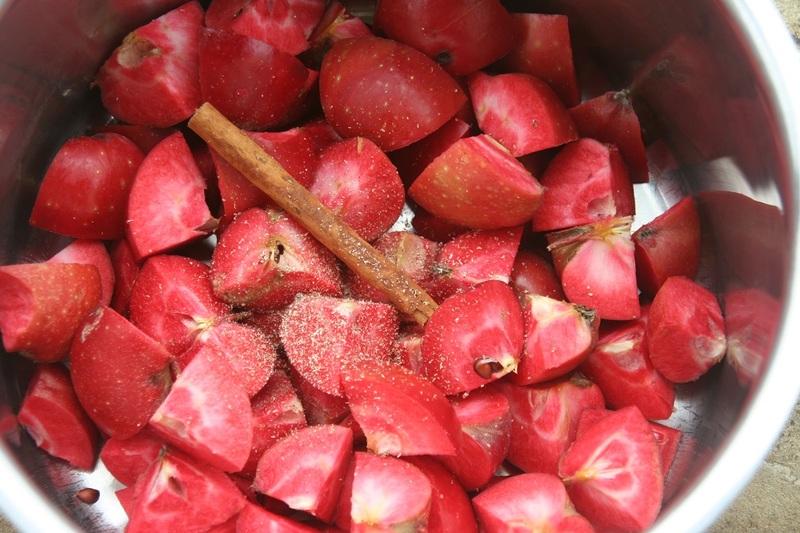 Bring to the boil and simmer until the apples have turned to mush, approx 20-30 mins. Push the apple pulp through a plastic sieve. 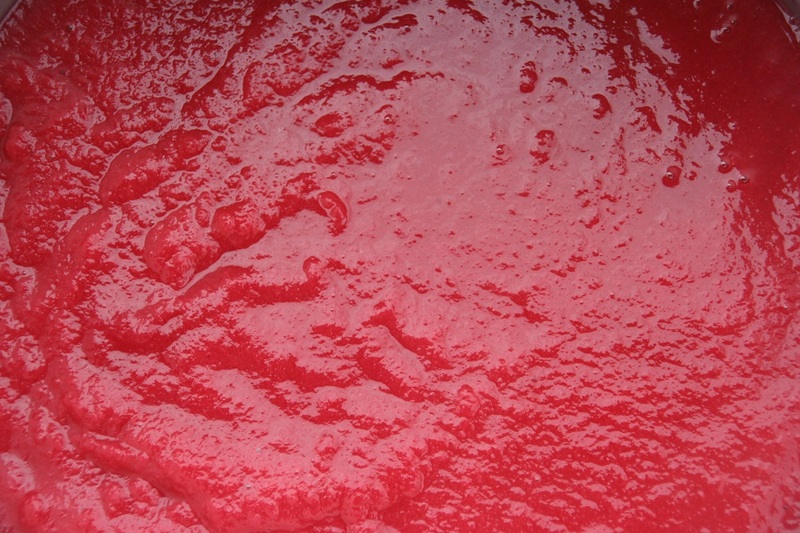 Weigh the pulp and return to your clean pan. Add half the weight of sugar to the weight of the pulp. Slowly bring to the boil and let the mixture bubble for approx. 10 minutes. 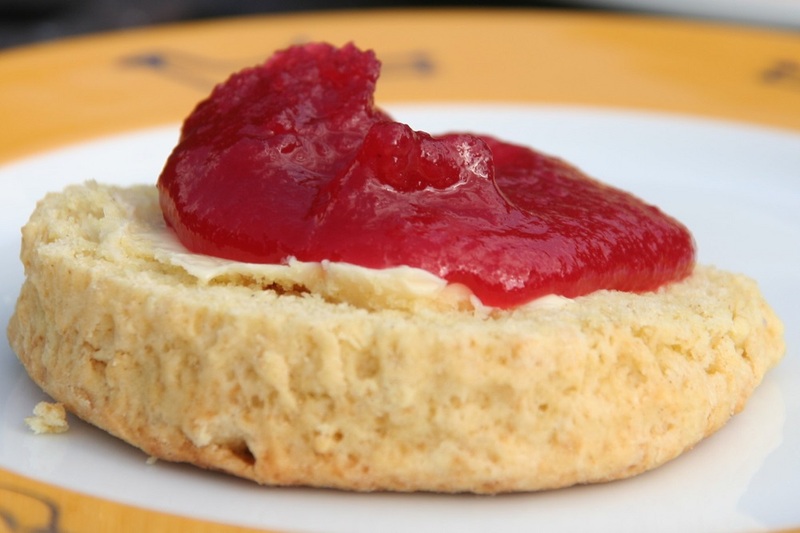 Test whether you have reached setting point by dropping a teaspoon of jam onto the frozen plate. If, after a few seconds, the jam wrinkles when you push it with your finger then it is ready to jar up. If not, simmer for another couple of minutes and test again. When the jam is ready stir in the small knob of butter to get rid of any unsightly scum that might be on the top. 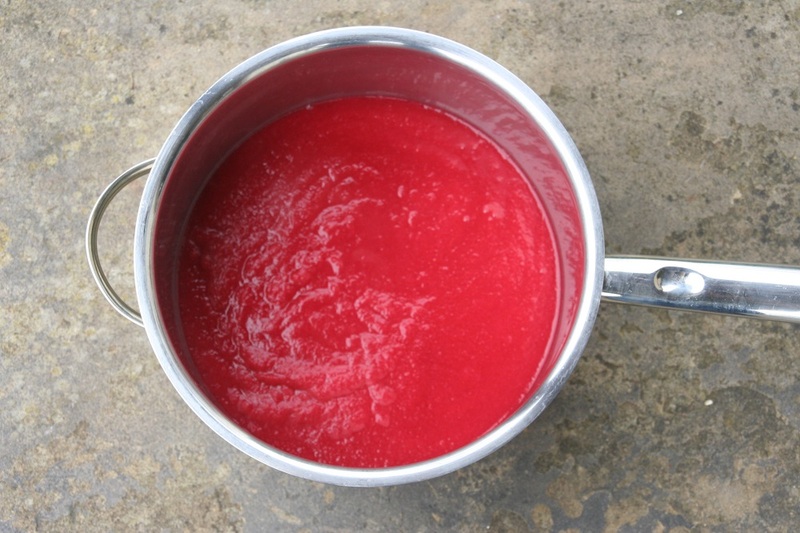 Pour jam into clean and sterilised jars and seal. Because of the low sugar content of this jam it won’t keep for very long, so make small batches and keep in the fridge for no longer than three months. 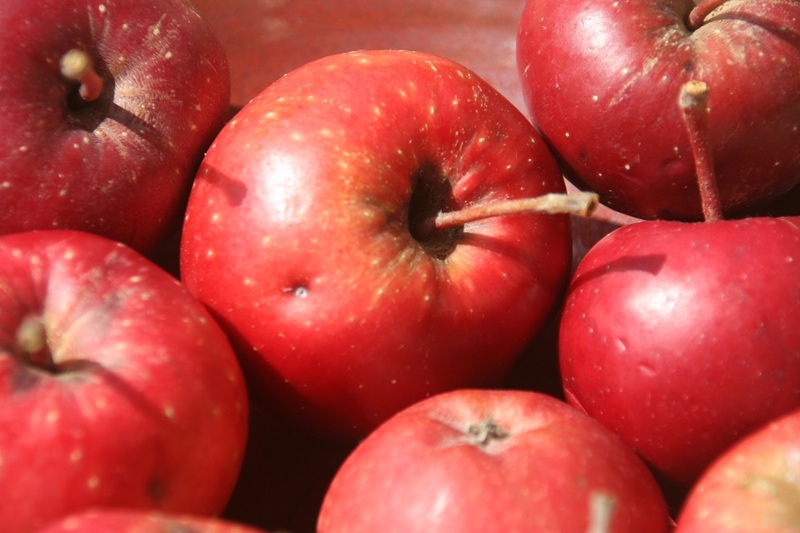 The Trinity apple is an early ripening, small red fleshed apple. Harvest usually takes place in mid August. The apple has a limited shelf life, probably due to its high juice content, but is a good cooker and perfect for making puree. Next year there will be a limited harvest in Twickenham, England, which could be available for ‘Pick Your Own’ for any interested parties. If you want more information about the Trinity apple please contact turner.register@googlemail.com.